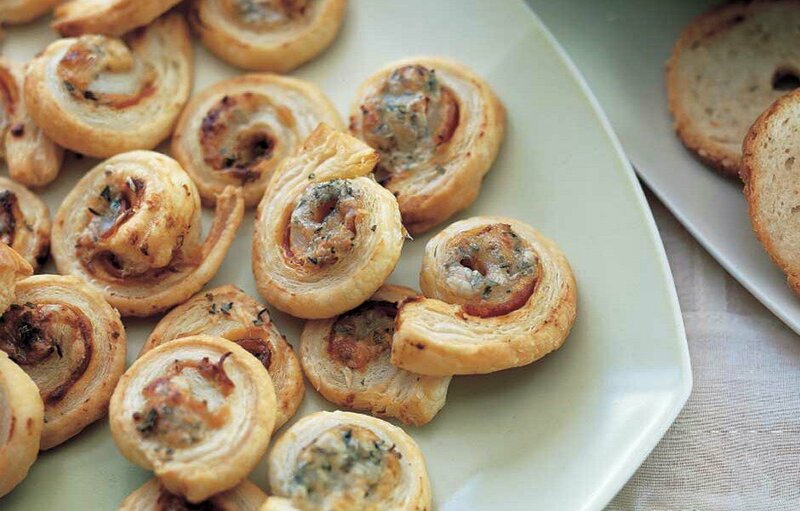 Here’s another holiday goodie and what doesn’t taste good in puff pastry?? 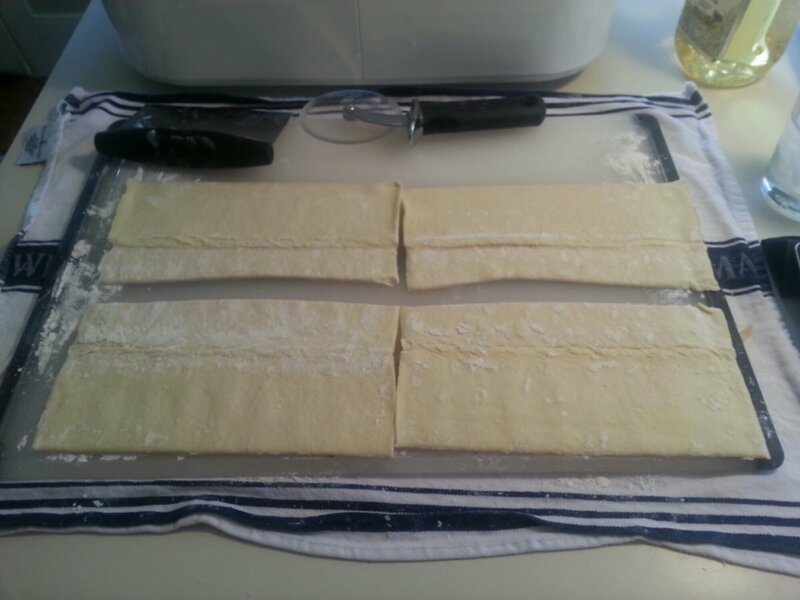 Thaw the pastry for an hour. Don’t cheat and try to unfold it too early or you WILL crack it. Trust me. Mix the cheese and herbs in a bowl (I’ve used parm in place of Asiago and the results were just as yummy). 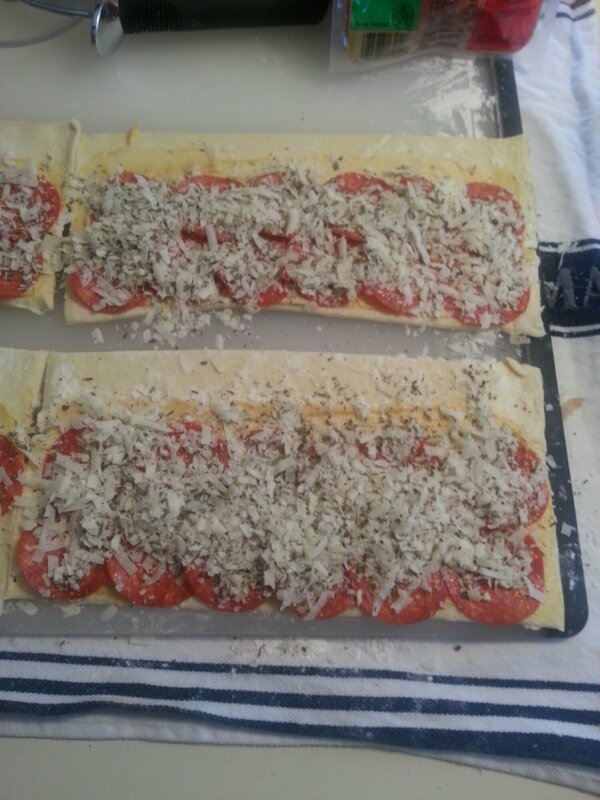 Cut the sheets, lengthwise, in half. 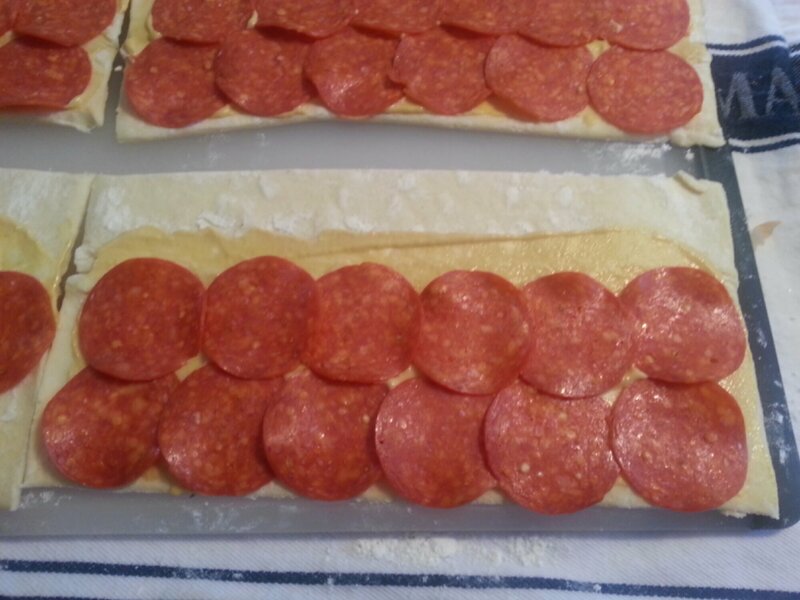 Spread the dijon and add a layer of pepperoni. 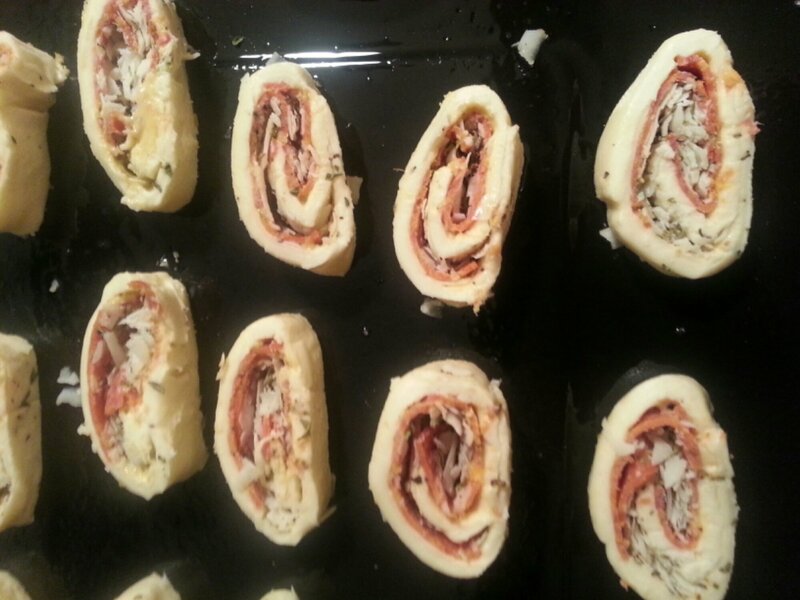 Add the cheese / herb mixture. Make sure you leave an inch clear, at the top of each sheet. Now time for tolling. Start at the bottom and roll up to the open seam. Just before you’re ready to seal the deal, so to speak, brush it with an egg wash (2 eggs and a splash of water). 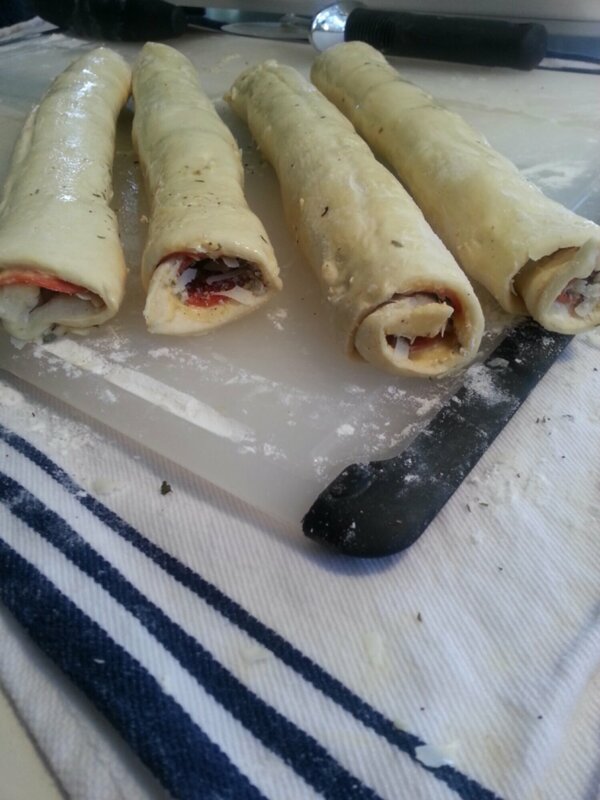 Let the rolls hang for 30 minutes in the fridge (or overnight, until you’re ready to bake). 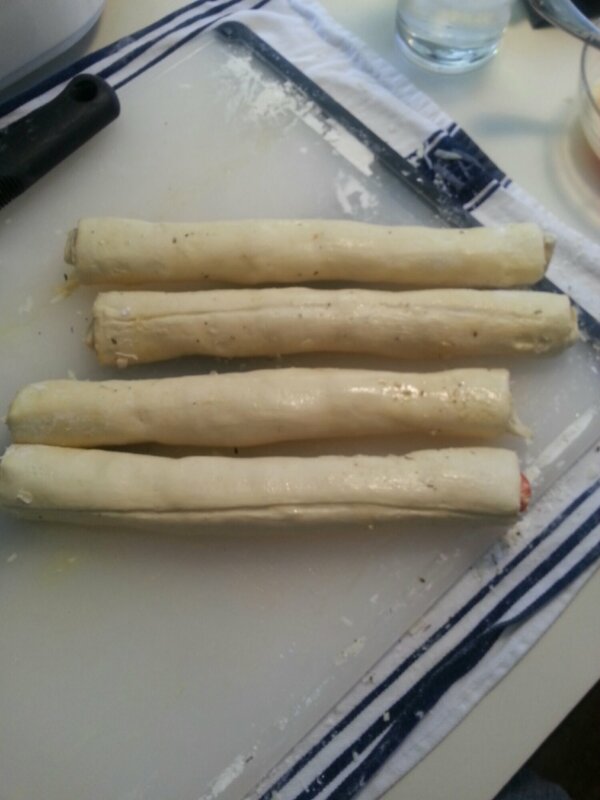 Cut them about a 1/4” thick and bake them on a greased pan. Here’s the final product and the recipe from Bon Appetite.